At 7:21 p.m., the Falcon 9 rocket took off from Vandenberg carrying the Argentine satellite SAOCOM 1A. Shortly later, the Falcon 9 delivered the satellite into low-earth orbit, and about eight minutes following the launch, the rocket booster landed at Vandenberg’s Landing Zone 4. The occasion marked the 30thsuccessful landing of a rocket booster, but the first on the West Coast for SpaceX. The rocket landed safely. 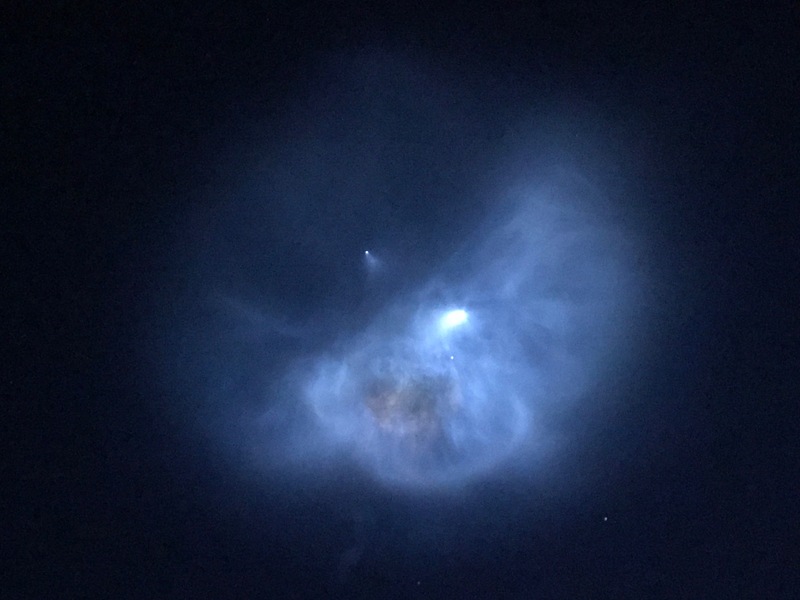 Between the launch and landing, spectators were greeted to a light show that numerous observers described as consisting of UFO-like images in the sky. In addition to the colorful display of lights, the event included a sonic boom.